‘Cognitive dissonance’ is the mental stress (discomfort) experienced by a person who simultaneously holds two or more contradictory beliefs, ideas, or values; when performing an action that contradicts existing beliefs, ideas, or values; or when confronted with new information that contradicts existing beliefs, ideas, and values. As a twist on that concept, George Orwell coined the term ‘doublethink’: the act of simultaneously accepting two mutually contradictory beliefs as correct, often in distinct social contexts. Doublethink is related to, but differs from, hypocrisy and neutrality. Also related is cognitive dissonance, in which contradictory beliefs cause conflict in one’s mind. Doublethink is notable due to a lack of cognitive dissonance — thus the person is completely unaware of any conflict or contradiction. And it’s Orwell’s version of intellectual gymnastics that runs rampant amongst the world’s dwindling wind cult. The ability to pontificate about the purported environmental ‘benefits’ of these whirling wonders, whilst steadfastly ignoring the millions of birds and bats that are slaughtered on a daily basis shows a sense of hypocrisy and cynicism almost unparalleled in human history. 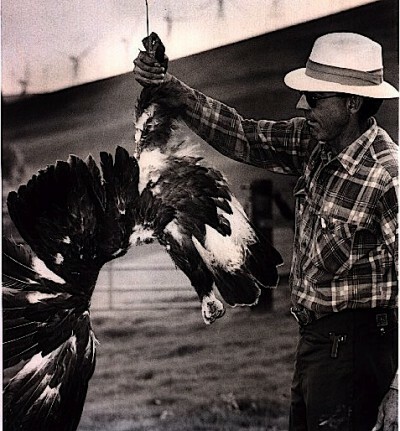 The paradox is, of course, the notion that wind power is ‘clean and green’, notwithstanding the fact that millions of birds and bats are belted to kingdom come with impunity. The usual retort is that cars kill birds too; or that pelicans and penguins drenched in oil are the inevitable consequence of our reliance on fossil fuels. Which misses the point that, in the energy caper, it’s only the wind industry and its worshippers that claim to be holier than thou. Oil, gas and coal provide meaningful (ie reliable and affordable) energy; gas and coal as the principal form of electricity generation, now and for generations to come. Whereas, wind power can only ever been delivered at crazy, random intervals, cannot be stored and only exists due to massive and endless subsidies. 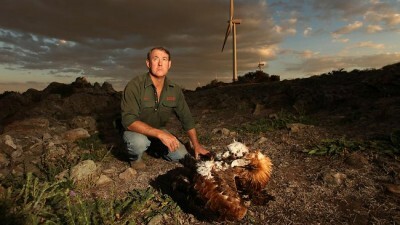 No, in short, there is no excuse, no justification and no reason for the wind industry’s wanton avian carnage. For those who seek to excuse it, history will not judge these hypocrites kindly.